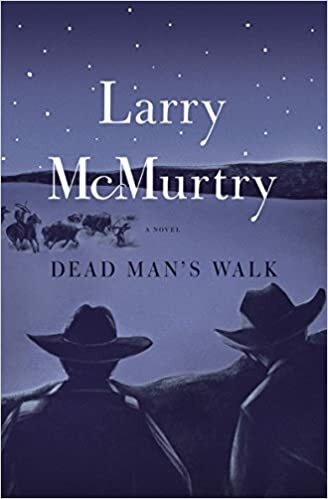 Dead Man's Walk is the first, extraordinary book in the epic Lonesome Dove tetralogy, in which Larry McMurtry breathed new life into the vanished American West and created two of the most memorable heroes in contemporary fiction: Augustus McCrae and Woodrow Call. As young Texas Rangers, Gus and Call have much to learn about survival in a land fraught with perils: not only the blazing heat and raging tornadoes, roiling rivers and merciless Indians but also the deadly whims of soldiers. On their first expeditions--led by incompetent officers and accompanied by the robust, dauntless whore known as the Great Western--they will face death at the hands of the cunning Comanche war chief Buffalo Hump and the silent Apache Gomez. They will be astonished by the Mexican army. And Gus will meet the love of his life.